Coastal Home Inspectors in Bonita Springs helping our respected clients for many years by performing them the perfect home inspection services to protect from any financial or physical loss. 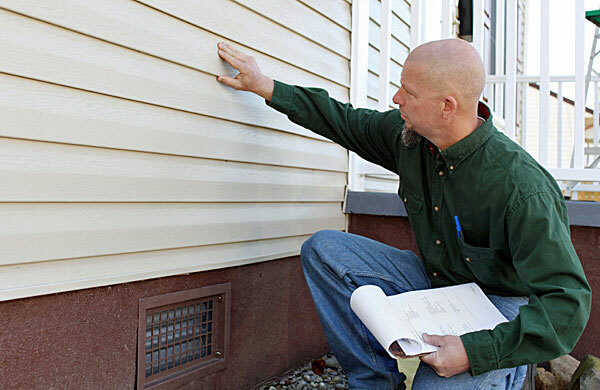 At Coastal Home Inspectors, our expert home inspectors are capable enough to inspect any kind of your home or building inspection very efficiently at very affordable and competitive rates. So when you are going to buy a home in Bonita Springs you should have the services of Bonita Springs Home Inspectors by Coastal Home Inspectors to protect your huge investment that you ever make in your life. Why You Need a Home Inspector to Inspect Your Home? A home inspection is a complete visual inspection of a home from each and every possible part and from top to bottom; it’s not any kind of guarantee for your home it’s just a way to give you an idea regarding the worth of your desired property that you want to get in your life. The basic purpose of a home inspection is to uncover all possible hidden flaws that a home can have in its structures and components so that you can understand exactly what you are going to buy or sell. We inspect a home for all major and minor apparatuses and educate our clients for making a confident decision to buying it. Bonita Springs Home Inspectors inspect your home for its exteriors including windows, garages, walls, lawns and also other internal components and systems like ventilation system, electrical, plumbing system, central air conditioning as well as the roofing system to expose the age and condition of the roof. At Coastal Home Inspectors we have the latest technologies that make our inspection too perfect and give you the peace of mind that you will not face any surprises issues in future. At Coastal Home, Bonita Springs Home Inspectors are professionally certified and licensed to give you best and real home inspection services in Bonita Springs. They have a special training to detect any kind of hidden defect very effortlessly. We would highly recommend you to be present during the inspection because this short investment of your time can give you some extra knowledge to keep your home in good condition for the long period of time and to avoid any issue that can occur with the route of time.